Tesla Motors, Inc. is private a Silicon Valley automobile startup company focusing on the production of high performance, consumer-oriented battery electric vehicles. 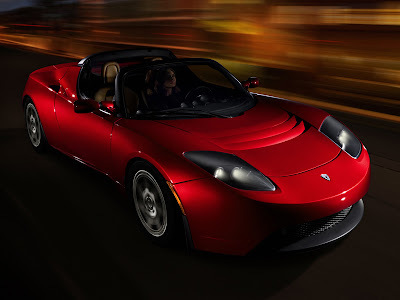 The Tesla Roadster is a fully electric sports car. 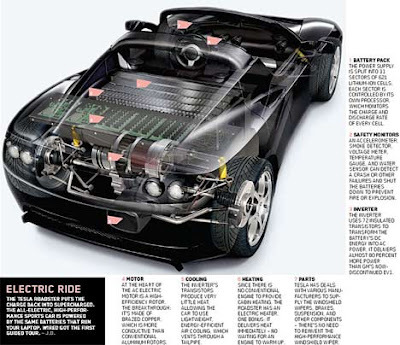 It is the first car produced by electric car firm Tesla Motors. The car can travel 244 mi (393 km) on a single charge of its lithium-ion battery pack and accelerate from 0-60 mph (97 km/h) in 3.9 seconds.